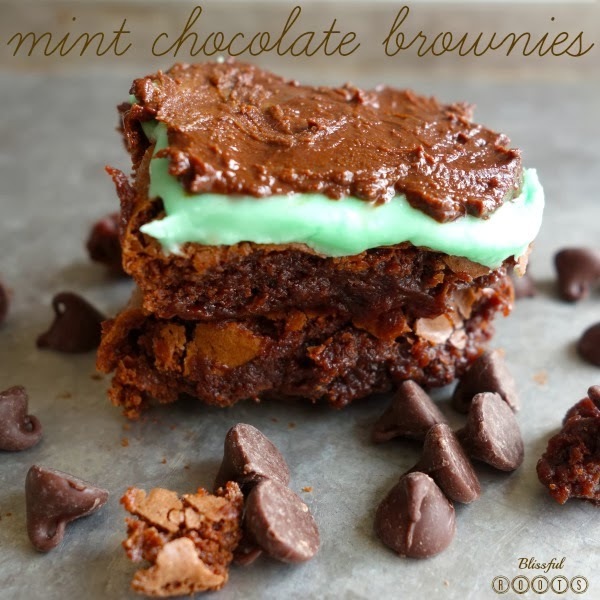 I love all desserts, but I have to say mint and chocolate are probably my two favorite flavors to combine in a yummy dessert recipe. And anything minty green goes with St.Patrick's Day, so here's one of the best! I originally found this recipe in my Best Bites Cookbook. If you know Sarah and Kate at all, then you know they're recipes are always amazing! I knew these brownie would not disappoint. When I make these brownies, I do adapt the recipe just a bit. I don't make Sarah and Kate's brownies. I just make their mint frosting and chocolate glaze. I always use my sister-in-law's blue ribbon brownie recipe for the brownie part, or I've even just used a Lehi Roller Mills brownie mix. If you're going to use a boxed brownie mix, try to find one that is more cakey than fudgey. It just makes spreading the frosting on top of the brownies a bit easier. 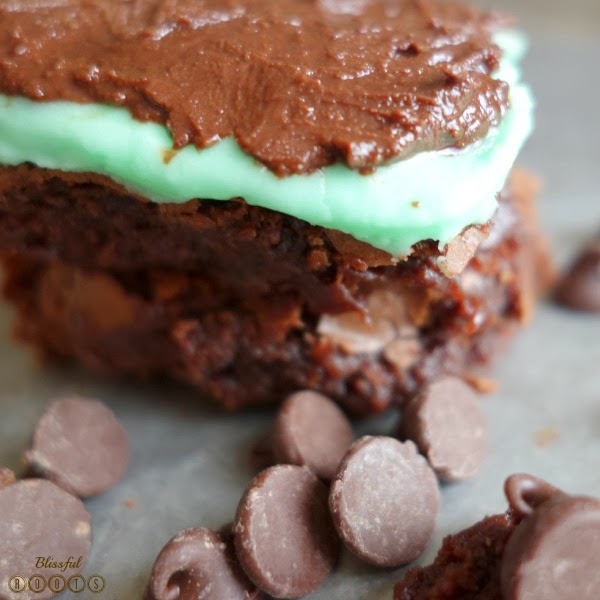 So, visit Our Best Bites' mint brownie recipe (the mint frosting and chocolate glaze are included there) link, and click here for my sister-in-law's blue ribbon brownie recipe. Mix and match the recipes to your liking. I could eat an entire pan of these without a single problem, and I'm sure most people could. 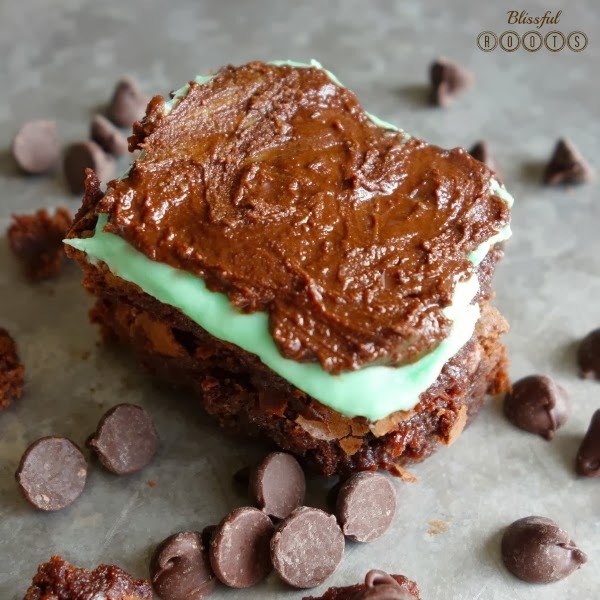 Brownies are always a weakness of mine, but when you add the light minty frosting and the chocolate glaze on top, it's perfection! The ideal St. Patrick's Day dessert! Mint chocolate chip is my favorite! I would love it if you shared this on my Tasty Tuesday linky party!